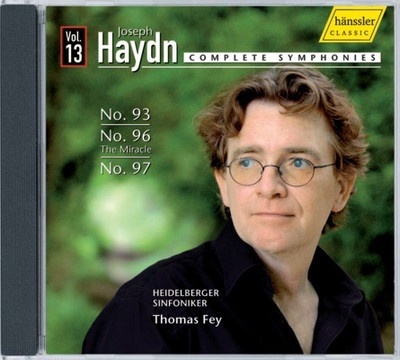 Thomas Fey and his Heidelberger Sinfoniker have already completed over a third of their recordings of the complete Haydn symphonies. Without exception, these recordings have received international acclaim. Thomas Fey's approach to Haydn well-considered and intelligent, he chooses to let the music's argument shape each piece rather than focusing on "witty" details; and his Heidelberg ensemble responds to his direction as a well-oiled machine, keeping the listener on the edge of their seat. These are Haydn recordings worthy of the master's own blessing!